Great rug. Well made rug! 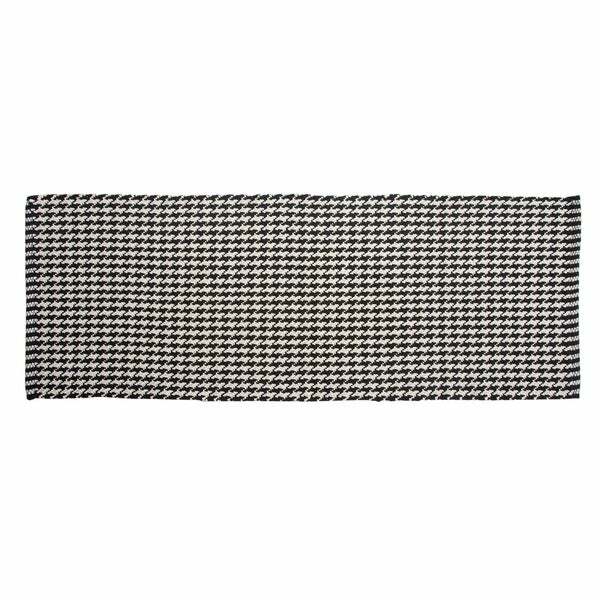 Porch & Den Bonair Titanium and Gardenia Olefin Runner Rug - 2' x 7'5"
Dimensions 60.0 In. X 22.0 In. X 0.5 In. Nice to get out of the shower on a thicker piece of washable rug. Perfect match with my Black n grey bathroom. Very nice rug, good quality. Has held up nicely to our three dogs &amp; lots of human traffic, cleans up nicely! I found what I wanted! This runner is great. "Does this rug have any rubber or grips on the bottom?" The dimensions are approximately 22" x 60" inches. Yes, this is washable I recommend spot cleaning using no harsh chemicals.